Obama trumpets an agreement that Tehran violates at every turn. What diplomats call the Joint Comprehensive Plan of Action—known to the rest of us as the Disastrous Iran Deal—was agreed in Vienna a year ago this week. Now comes a status update, courtesy of our friends at the Bundesamt für Verfassungsschutz, or BfV. In its fascinating 2015 annual report, published late last month, the German domestic intelligence service reports a “particularly strong increase” in the number of Salafists, describes the reach of Russian and Chinese espionage efforts in Germany, and notes a growing number of right-wing extremists. The BfV report arrived days before Germany arrested a Pakistani national, identified as Syed Mustufa H., accused of spying for Iran. It also corroborates another German report, this one from the intelligence service of North Rhine-Westphalia, that Iran’s nuclear procurement efforts have increased dramatically in recent years, from 48 known attempts in 2010 to 141 in 2015. Seven other German states have reported similar Iranian procurement efforts. This violates Iran’s explicit commitment to go through an official “procurement channel” to purchase nuclear- and missile-related materials. All this was enough to prompt Angela Merkel to warn the Bundestag last week that Iran “continued to develop its rocket program in conflict with relevant provisions of the U.N. Security Council.” Don’t expect German sanctions, but at least the chancellor is living in the reality zone. As for the Obama administration, not so much. For the past year it has developed a narrative—spoon-fed to the reporters and editorial writers Ben Rhodes publicly mocks as dopes and dupes—that Iran has met all its obligations under the deal, and now deserves extra cookies in the form of access to U.S. dollars, Boeing jets, U.S. purchases of Iranian heavy water (thereby subsidizing its nuclear program), and other concessions the administration last year promised Congress it would never grant. “We still have sanctions on Iran for its violations of human rights, for its support for terrorism, and for its ballistic-missile program, and we will continue to enforce those sanctions vigorously,” Mr. Obama said in January. Whatever. The administration is now weighing whether to support Iran’s membership in the World Trade Organization. That would neutralize a future president’s ability to impose sanctions on Iran, since WTO rules would allow Tehran to sue Washington for interfering with trade. The administration has also pushed the Financial Action Task Force, an international body that enforces anti-money-laundering standards, to ease pressure on Iran, which FATF did last month by suspending some restrictions for the next year. And then there’s the Boeing deal to sell $17.6 billion worth of jets to Iran, which congressional Republicans led by Illinois’s Pete Roskam are trying to stop. Iran uses its civilian fleet to ferry weapons and fighters to its terrorist clients in Syria and Lebanon. 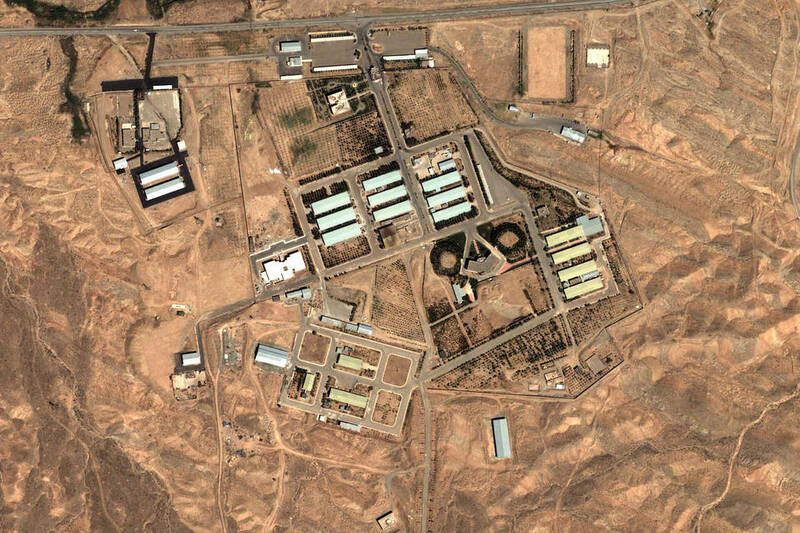 One last detail: In June, the Journal’s Jay Solomon reported that the International Atomic Energy Agency had discovered “traces of man-made uranium” at Iran’s military facility at Parchin. The agency reported this finding in a footnote to a report in December, but the administration made no comment then and now dismisses it as old news. The IAEA is no longer allowed to inspect Parchin, or any other military installation, under the deal. So let’s recap. Mr. Obama says Iran is honoring the nuclear deal, but German intelligence tells us Tehran is violating it more aggressively than ever. He promised “snapback” sanctions in the event of such violations, but the U.S. is operating as Iran’s trade-promotion agent. He promised “unprecedented” inspections, but we’re not permitted to inspect sites where uranium was found. He promised an eight-year ban on Iran’s testing of ballistic missiles, but Tehran violated that ban immediately and repeatedly with only mild pushback from the West. He promised that the nuclear deal was not about “normalizing” relations with a rogue regime. But he wants it in the WTO. Is Mr. Obama rationalizing a failed agreement or did he mean to mislead the American public? Either way, truth is catching up with the Iran deal.